Visalam was the splendid house that KVAL Ramanathan Chettiar built for his eldest daughter, Visalakshi, in Chettinad more than a century ago. 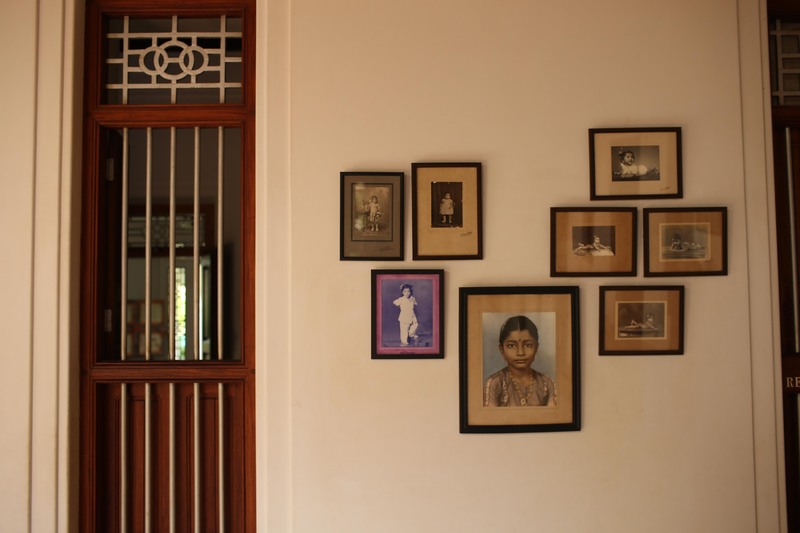 However, Visalam never became the lively family home it was intended to be and was used only for occasional family gatherings during the period following its construction. A half-century later it passed onto us bringing with it an unparalleled legacy and a technical challenge of the highest order. How were we to restore this masterpiece while remaining faithful to its original conception? It was a task that we met with diligence and pride, selecting both materials and people who approached Visalam’s restoration with great care and skill as you would a work of art. No sweeping changes were made to the building’s interiors except to partition its vast halls into comfortable guest rooms from which to experience a palpable presence of the past. 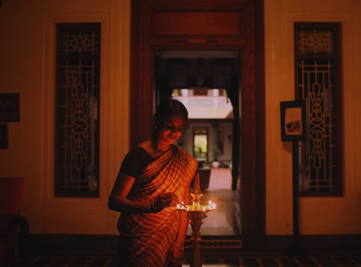 Today at Visalam, one of our landmark heritage properties, you can bear witness to an ambiance that still exudes the spirit of the times it was built in. Its character remains unchanged over the decades and faithfully recalls its original inspiration - the touching saga of a father’s gift to his first daughter! Unwind timeTake a dip in the pool or put your feet up and read a book in the quiet garden. A timeless storyStep into the grandeur of a legacy. 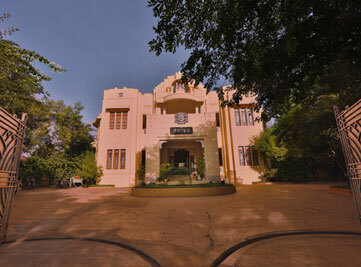 Visalam is a heritage Chettiar mansion preserved in time. The Chettiar LegacyStep into the grandeur of a legacy. Visalam is a heritage Chettiar mansion preserved in time. Chettiar cuisineFiery spices and aromas are a hallmark of the cuisine. Watch the chef cook up a delight or witness Aachis make a local snack, murukku. Respecting the Environment: Caring for the environment is an important part of the CGH Earth agenda for Responsible Tourism. Visalam is no exception in this regard and, interestingly, has become a milestone and benchmark in the area for these features. 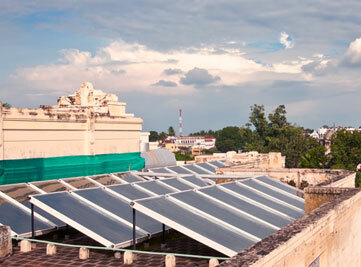 It manages its waste efficiently, employs renewable energy and practices rainwater harvesting. 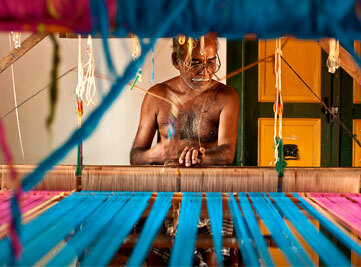 Fostering traditional skills: We sought out and worked closely with many skilled and specialised artisans of the Chettinad region while restoring Visalam. The tile makers, weavers, carpenters and stone workers have all contributed their unique talents and knowledge to breathe life again into this 100 year old building. Culture-centered: The culture and traditions of the trading Chettiar community and the local villagers are the foundation on which this holiday experience has been created. Locally connected: A good number of our team members at Visalam - our staff, the vendors, guides and interpreters - are all from the local villages. Their first-hand understanding of the place and its history will make for wonderful exchanges between them and our guests. An act of Conservation: The traditional homes of the Chettiar community in Chettinad and its environs are known for their grandeur and elegance. Sadly though many of these lie abandoned and at risk of losing their alluring history. Visalam is our earnest attempt to conserve, through careful restoration, this great home of a prominent family of one of the oldest trading communities of Tamil Nadu.